Look at this photo, and look at it good. 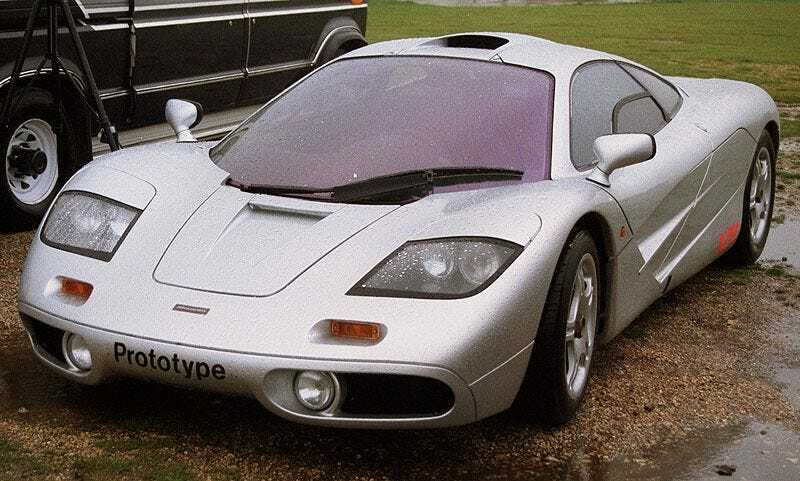 It’s from 1993 and shows XP3, Gordon Murray’s personal F1 which is known today as K50 BAT. Those indicators and fog lamps didn’t make it into production. That’s because the road car’s blinkers actually came from the Lotus Elan. You know, the one that got turned into a Kia. Apparently, that fact was kept from Ron Dennis at the time. Have you ever seen the F1’s wooden handbrake lever? How about its super lightweight French toolkit? Ever wondered why that BMW V12 sounds like it does when you press that red starter button? Do you know what makes those OZ wheels special, and what sort of Michelins you should order if the old set get mysteriously turned into smoke? The exhaust system is quite unique as well, costing more than a production V12 itself, and if you chip that windshield, that’s going to be a $23,000 exercise. Oh boy. When it comes to the McLaren F1, there’s always something new to learn.